Unfortunately the B team had the misfortune of losing their first leg runner due to illness; Jenny Reed having to stop and seek medical attention on her leg. The remaining five runners were allowed to continue once the race referee was advised of the problem. The men's team had qualified for the National final with a tenth place in the Northern event, and were confident of another solid performance since the team was strengthened by further strong performers being available for the National event. 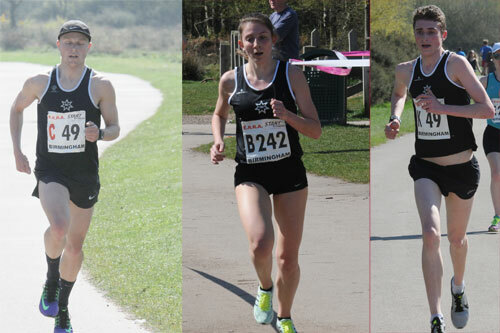 The athlete times were remarkably consistent throughout with all 6 long leg runners recording sub 30 minute times for the 5.36 mile leg, and all short leg runners running well - particularly the two juniors, Joe Massingham & Ryan Beale (making his debut in the National senior team) running the clubs fastest times. This consistency ensure that good progress was made throughout the 12 legs with the team eventually finishing 25th team, and 6th Northern team.